For media inquiries, contact press@smugmug.com. 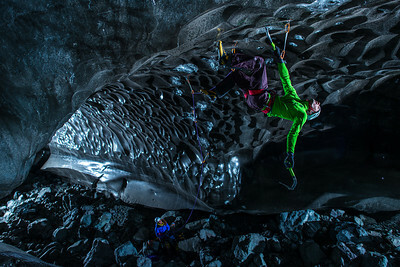 Climbers Klemen Premrl and Rahel Schelb inspect an ice cave in Iceland. 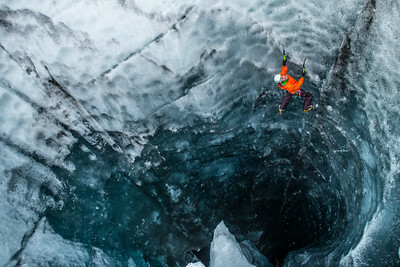 As featured in "Climbing Ice - The Iceland Trifecta", presented by SmugMug Films. Master climber Rahel Schelb of Switzerland attempts to climb horizontal ice, a highly technical challenge that few climbers attempt. As featured in "Climbing Ice - The Iceland Trifecta", presented by SmugMug Films. Photographer Tim Kemple captures a three-dimensional landscape of Klemen Premrl expertly climbing the ceiling of an ice cave. Other photographs have shown climbers in ice caves "posed," but Tim wanted to show real climbers actually tackling the highly difficult challenge of climbing horizontal ice. As featured in "Climbing Ice - The Iceland Trifecta", presented by SmugMug Films. Rahel Schelb is a teacher by training, but her passion for ice climbing has propelled her into an elite class of athletes. She's one of the few female, master climbers in the world. 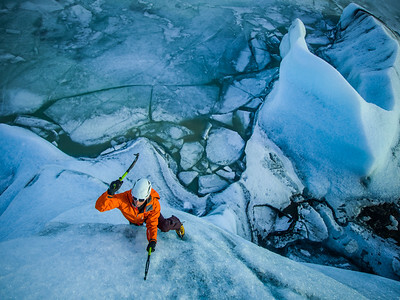 Here, she is photographed by Tim Kemple taking on the extremely technical challenge of climbing overhanging ice. 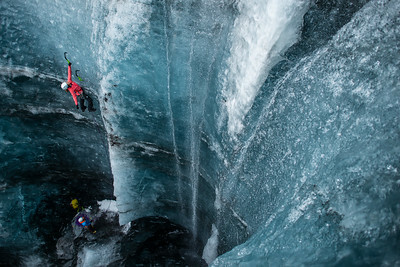 As featured in "Climbing Ice - The Iceland Trifecta", presented by SmugMug Films. 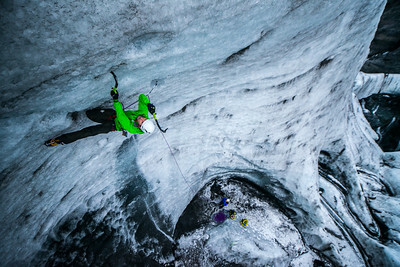 Klemen Premrl of Slovenia climbs the ceiling of an ice cave in Iceland. Other photographs have shown climbers in ice caves "posed," but Tim wanted to show real climbers actually tackling the highly difficult challenge of climbing horizontal ice. 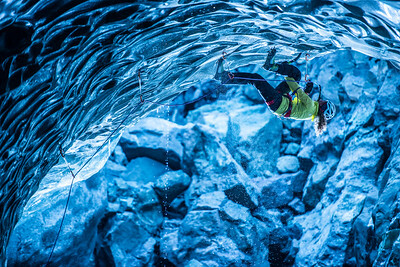 As featured in "Climbing Ice - The Iceland Trifecta", presented by SmugMug Films. 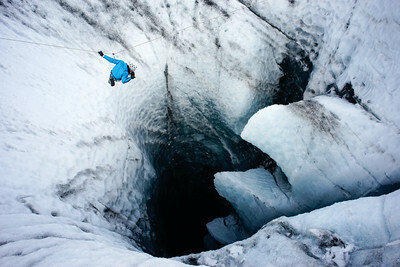 Klemen Premrl of Slovenia climbs the ceiling of an ice cave in Iceland. Other photographs have shown climbers in ice caves "posed," but Tim wanted to show real climbers actually tackling the highly difficult challenge of climbing horizontal ice. “There were these really beautiful textures, ripples on the sides of the walls, and I lit some of those with off-camera lighting just to bring a little bit of attention to the unique texture in the ice rather than the climbers,” says Tim. 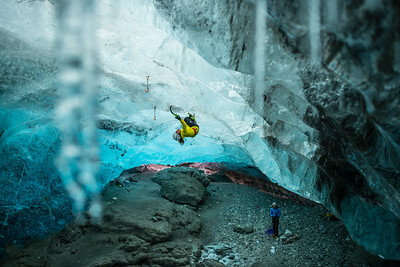 Read more at https://www.smugmug.com/films/tim-kemple/climbing-glacier. As featured in "Climbing Ice - The Iceland Trifecta", presented by SmugMug Films. Klemen Premrl, who previously appeared in a viral Go Pro video of an iceberg collapsing as he climbed it, fared better on this trip. Though icebergs are, by nature, unpredictable and dangerous, he and the SmugMug Films team were able to find one that was climbable. As featured in "Climbing Ice - The Iceland Trifecta", presented by SmugMug Films. From left to right, the Climbing Ice team and crew: Björgvin Hilmarsson - Guide Klemen Premrl - Climber from Slovenia Kevin Harrington - SmugMug crew Rahel Schelb - Climber from Switzerland Anton Lorimer - SmugMug Filmmaker Tim Kemple - Photographer As featured in "Climbing Ice - The Iceland Trifecta", presented by SmugMug Films. Photographer Tim Kemple harnesses himself into a "Tyrolean traverse," a zip line on a 9mm rope, that allowes him to hang across the mouth of a moulin (very deep ice crevasse) in order to capture climbers in a unique perspective. As featured in "Climbing Ice - The Iceland Trifecta." Photo courtesy of Kevin Harrington. 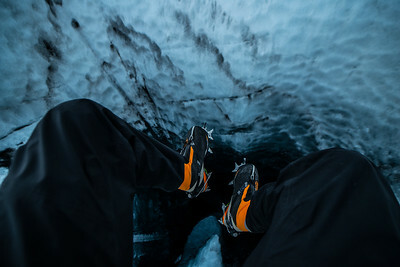 #FromWhereHeSits Photographer Tim Kemple captures a photo of his feet hanging over the gaping mouth of a moulin, an ice crevasse in a glacier that can go down for hundreds of feet. 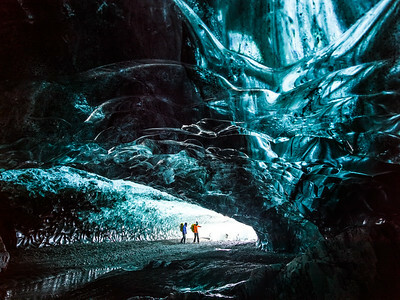 As featured in "Climbing Ice - The Iceland Trifecta", presented by SmugMug Films. Swiss Climber Rahel Schelb climbs up the side of a moulin, an ice crevasse in a glacier that measures hundreds of feet deep. Her crampons are inserted only millimeters into the ice walls, supporting her entire weight underfoot. 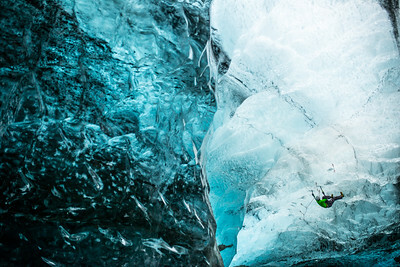 As featured in "Climbing Ice - The Iceland Trifecta", presented by SmugMug Films. 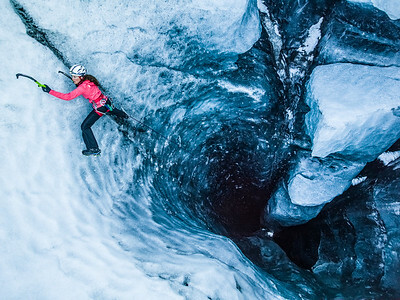 Swiss Climber Rahel Schelb first rappelled hundreds of feet into the base of the moulin (an ice crevass in a glacier) before climbing out. To support her weight, she uses lightweight ice axes in each hand and crampons, inserted mere millimeters into the ice walls. As featured in "Climbing Ice - The Iceland Trifecta", presented by SmugMug Films. Klemen Premrl of Slovenia first rapelled hundreds of feet into the base of the moulin (an ice crevass in a glacier) before climbing out. To support his weight, he uses lightweight ice axes in each hand and crampons, inserted mere millimeters into the ice walls. As featured in "Climbing Ice - The Iceland Trifecta", presented by SmugMug Films. Klemen Premrl of Slovenia first rapelled hundreds of feet into the base of the moulin (an ice crevass in a glacier) before climbing out. To support his weight, he uses lightweight ice axes in each hand and crampons, inserted mere millimeters into the ice walls. Here, here rests briefly before continuing to climb. As featured in "Climbing Ice - The Iceland Trifecta", presented by SmugMug Films. 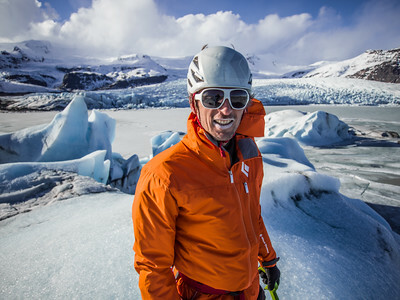 Klemen Premrl expertly climbs up the side of a glacier in Iceland, while photographer Tim Kemple stands above him with camera-in-hand, balanced against the edge, holding onto Rahel Schelb's hand (see video: https://youtu.be/79s5BD0301o?t=13m22s and https://youtu.be/79s5BD0301o?t=14m2s) As featured in "Climbing Ice - The Iceland Trifecta", presented by SmugMug Films. "There are a million ways to die on these glaciers,” says Kevin Harrington, a SmugMug Films crewmember. This photo shows photographer Tim Kemple standing between two moulins - ice crevasses in glaciers that can run hundreds of feet deep. 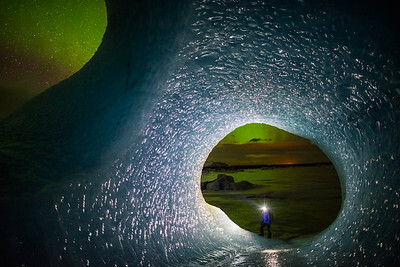 As featured in "Climbing Ice - The Iceland Trifecta", presented by SmugMug Films. 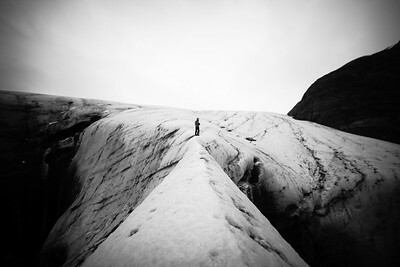 SmugMug Filmmaker Anton Lorimer carefully navigates a crack in a glacier in Iceland. Every step had to be carefully placed, or else he'd risk slipping, potentially to his death. As featured in "Climbing Ice - The Iceland Trifecta." Photo courtesy of Kevin Harrington. 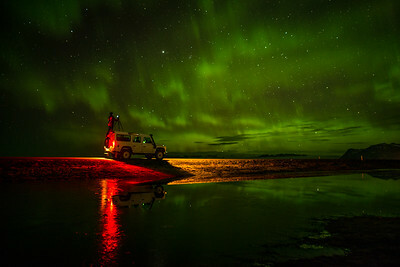 Photographer Tim Kemple captures SmugMug Film crew member Kevin Harrington standing on a truck, the Northern Lights dancing in the background. 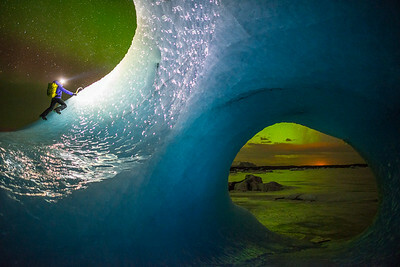 As featured in "Climbing Ice - The Iceland Trifecta", presented by SmugMug Films. 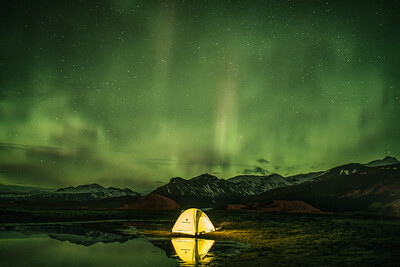 A tent glows against a backdrop of Northern Lights. As featured in "Climbing Ice - The Iceland Trifecta", presented by SmugMug Films. 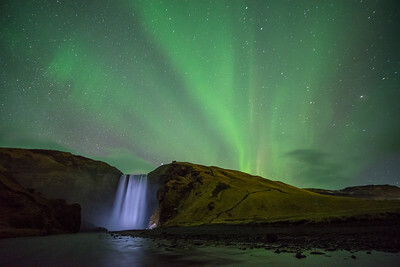 A waterfall in Iceland glows as the Northern Lights dance in the background. As featured in "Climbing Ice - The Iceland Trifecta", presented by SmugMug Films. This photograph of Rahel Schelb, a full-time teacher in Switzerland and part-time professional climber, was one of the highlights for Tim. “In a lot of ways, the photography is easy,” he says. “You get out to these beautiful places with talented athletes and you could drop the camera and take a cover-worthy photo. The real trick is to find new ways to capture things that people have never before seen.” Read more at https://www.smugmug.com/films/tim-kemple/photo-tips. As featured in "Climbing Ice - The Iceland Trifecta", presented by SmugMug Films. Rahel Schelb, a full-time teacher in Switzerland and part-time professional climber, stands in ring of ice as the Northern Lights flare in the background. Read more at https://www.smugmug.com/films/tim-kemple/photo-tips. As featured in "Climbing Ice - The Iceland Trifecta", presented by SmugMug Films. 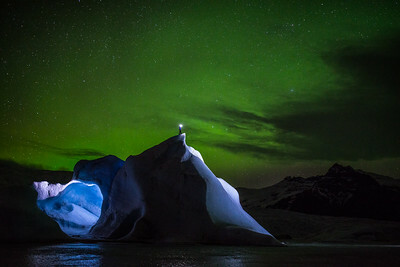 Climber Rahel Schelb stands at the top of the iceberg, the Northern Lights flaring in the sky behind her. 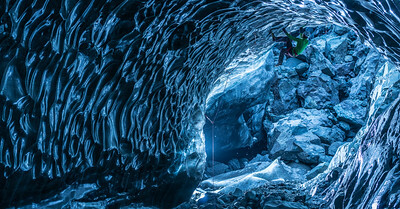 As featured in "Climbing Ice - The Iceland Trifecta", presented by SmugMug Films. Climber Klemen Premrl turns the camera back on the camera people. Here he captures SmugMug Filmmaker Anton Lorimer and SmugMug crew member Kevin Harrington carefully walking on ice with crampons on their feet. 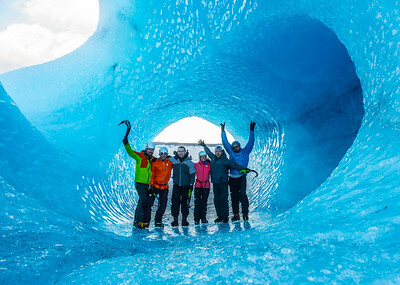 As featured in "Climbing Ice - The Iceland Trifecta." Photo courtesy of Klemen Premrl.